A pre-breakfast walk around Prague Castle gave us a tourist-free (not counting us) experience and a close up view of the changing of the guard. The Polish guards look fine in their pale blue uniforms. Those facing the sun are allowed to wear sunglasses. After breakfast I discovered two broken spokes in my rear wheel, so a return to the bike shop was necessary. We rode up the hill to Zizkov where there was a produce market, not extensive but with a good range of fruit, vegetables, bread, preserves, fish and dairy. It was held in a square surrounded by residential buildings. Apparently it is never too early to drink beer and many were doing so at 10am. 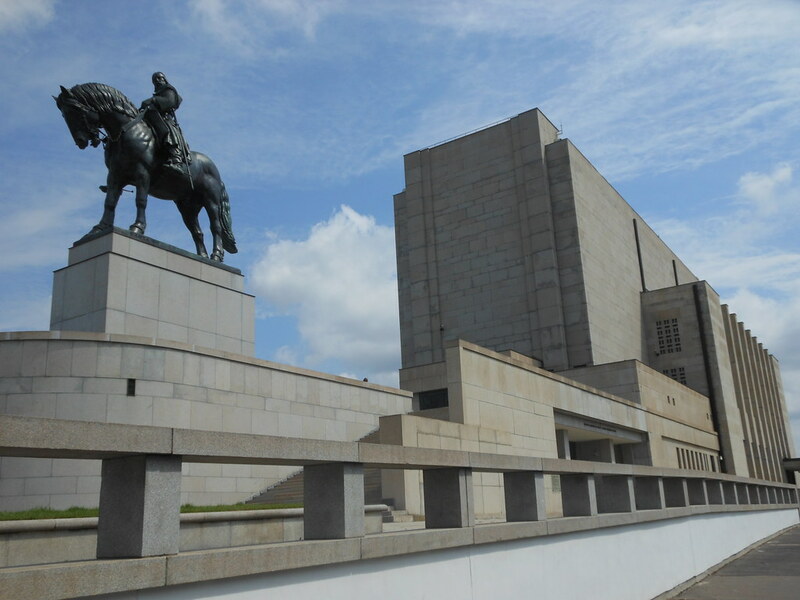 Not far away is Vitkof Hill, site of the National Monument and massive statue of historic Czech hero Jan Zizka mounted on a horse. Inspiring stuff! The slightly scruffy Museum of Communism also inspired admiration for the Czech people who survived and overturned that era. It was sobering to see newsreel footage of Velvet Revolution and earlier events in places that are now familiar to us. The daily thunder storm came early. We watched a student brass band from Denmark perform outside the Rudolfinum, then went for a late afternoon pivo at Riegrovy Sady, a leafy park with a westerly aspect over the city and castle. Here we saw a man cycle up, order a beer and ride off holding the plastic beer cup in one hand. 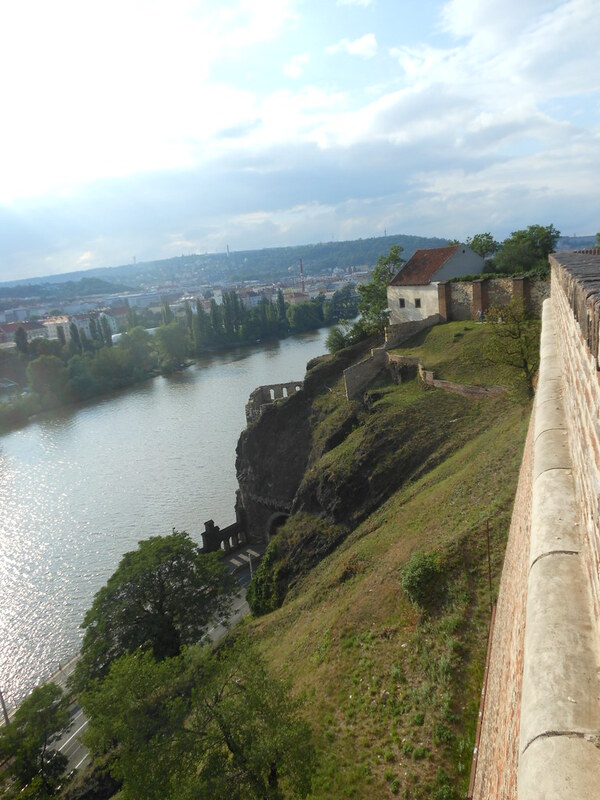 We cycled to Vysehrad, an ancient fortification above the Vltava, then home to pack up ready to hit the road. This entry was posted on 7 July 2012 at 8:00 pm and is filed under Czech Republic. You can follow any responses to this entry through the RSS 2.0 feed. You can leave a response, or trackback from your own site.